. Weimin Zhang, Yu-Shi He, Shiming Zhang, Xiaowei Yang, Xianxia Yuan, Zi-Feng Ma, Effectively Incorporating Iron, Nitrogen, and Sulfur Functionalities on Carbon Surface for a Superior Electrocatalyst Toward Oxygen Reduction Reaction, Electrochemistry Communications 2017, 81, 34-37.
. Nan Li, Yu-Shi He, Xiaoping Wang, Weimin Zhang*, Zi-Feng Ma, Dongyun Zhang*, Incorporation of rubidium cations into Li1.2Mn0.54Co0.13Ni0.13O2 layered oxide cathodes for improved cycling stability, Electrochimica Acta 2017, 231, 363-370. .Haiying Che, Yu-Shi He, Xiao-Zhen Liao, Hui-Juan Zhang, Weimin Zhang*, Zi-Feng Ma*, An active amorphous carbon material with Fe2C nanocrystals encapsulated as a high performance electrode for lithium-ion batteries, ChemistrySelect 2017, 2, 1854-1859.
. Chunrong Ma, Weimin Zhang*, Yu-Shi He, Qiang Gong, Haiying Che, Zi-Feng Ma*, Carbon coated SnO2 nanoparticles anchored on CNT as a superior anode material for lithium-ion batteries, Nanoscale 2016, 8, 4121-4126. .Tao Yuan, Yu-Shi He, Weimin Zhang*, Zi-Feng Ma*, A nitrogen-containing carbon film derived from vapor phase polymerized polypyrrole as a fast charging/discharging capability anode for lithium-ion batteries, Chemical Communications, 2016, 52, 112-115. 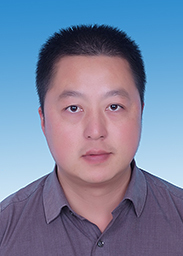 .Shuwen Kang, Haiming Xie, Wei Zhai, Zi-Feng Ma, Rongshun Wang*, Weimin Zhang*, Enhancing performance of a lithium ion battery by formation of a thin compact oxide layer on an aluminium current collector, International Journal of electrochemical science 2015, 10, 2324-2335. .Weimin Zhang*, Meng Wang, Jun Chen, Andrew T. Harris, Andrew I. Minett*, Localized Growth of Pt on Pd as a Bimetallic Electrocatalyst with Enhanced Catalytic Activity and Durability for Proton Exchange Membrane Fuel Cell, Electrochemistry Communications 2013, 34, 73-76.
. Weimin Zhang, Andrew I. Minett, Mei Gao, Jie Zhao, Joselito M. Razal, G. G. Wallace*, Tony Romeo, Jun Chen*, Integrated High-efficiency Pt/carbon nanotube arrays for PEM fuel cells, Advanced Energy Materials 2011, 1, 671-677.
. Weimin Zhang, Jun Chen*, Gerhard F. Swiegers, Zi-Feng Ma, Gordon G. Wallace*, Microwave-assisted synthesis of Pt/CNT nanocomposite electrocatalysts for PEM fuel cells, Nanoscale 2010, 2, 282-286.
. Weimin Zhang, Jun Chen*, Gerhard F. Swiegers, Andrew I. Minett, Chee O. Too, Gordon G. Wallace*, Novel ACNT arrays based MEA structure-nano-Pt loaded ACNT/Nafion/ACNT for fuel cell applications, Chemical Communications 2010, 46, 4824-4826.
. Weimin Zhang, Peter Sherrell, Andrew I. Minett, Joselito M. Razal, Jun Chen*, Carbon nanotube architectures as catalyst supports for proton exchange membrane fuel cells, Energy & Environmental Science 2010, 3, 1286-1293.
. Weimin Zhang, Jun Chen*, Pawel Wagner, Gerhard F. Swiegers, Gordon G. Wallace*, Polypyrrole/Co-tetraphenylporphyrin modified carbon fibre paper as a fuel cell electrocatalyst of oxygen reduction, Electrochemistry Communications 2008, 10, 519-522.
. Jun Chen, Gerhard F. Swiegers, Gordon G. Wallace, Weimin Zhang, Time-Dependent (“Mechanical”), Nonbiological Catalysis. 3. A Readily Prepared, Convergent, Oxygen-Reduction Electrocatalyst. In Mechanical Catalysis; Gerhard F. Swiegers, Ed., John Wiley & Sons, Inc., Hoboken: New Jersey, 2008; Chap. 13, pp 319-335.